The tank gets re-filled with water every time you flush with the help of a flapper connected to the toilet handle, the float (the ball you see floating on the water inside the tank) helps regulate the fill valve, and of course pipes consisting of a supply line behind the scenes which makes all of this possible. Over time any of these can become worn-out, faulty, cracked or corroded. Let’s start from the outside in. A crack in the toilet tank could be causing the leaking. Anything could have caused it to crack, such as age, or if an object banged against it, or poor workmanship when the tank was manufactured or installed. The supply line that was mentioned earlier could be worn out and not working properly. A toilet is a very cleverly designed mechanical instrument consisting of elastics, balls, hooks and connections. Naturally these will become worn or faulty over time – an elastic may have snapped; a hook may have come undone or a connection may have eroded and became stuck. Another culprit of a leaking toilet could be that the flapper is stuck or doesn’t move much when the toilet handle is pulled down. When you flush the toilet, the fresh water gets poured into the bowl and the supply valve refills the tank with a fresh supply of water. If the flapper is faulty the fresh water will continue to refill the tank, but the handle will not go up, resulting in an endless leakage of water until the problem is fixed. The problem could also lay with the fill valve. The fill valve ensures that the toilet gets refilled with water every time it flushes – sometimes it may not stop at all which can result in a leak. Remember some minerals found in water may harden on the inner workings of our toilets, causing hiccups in the functioning of these. The use of chemicals in our tanks may also be to blame, so watch out how you treat your toilet tank as well. The float inside the tank may be faulty as well. The float acts almost like a sensor to the fill valve, so that when the tank gets full again the float floats above the water. When the float has a small hole or crack in it, it will not function properly and may cause the fill valve to continuously supply water to the tank. The toilet chain could also be snagged in another component inside the toilet tank, so check and see if the chain is not partially stuck. This could be the result of not doing regular maintenance checks. Even the bowl, or components leading to the bowl from the back of the wall could be the cause of a leaking toilet. If there are any cracks in the bowl or leaking pipes in the surrounding areas, make sure that these are attended to as soon as possible as it can cause serious water wastage and damage. In a more general sense, a leaking toilet may also be due to old, rusty pipes that need replacement. 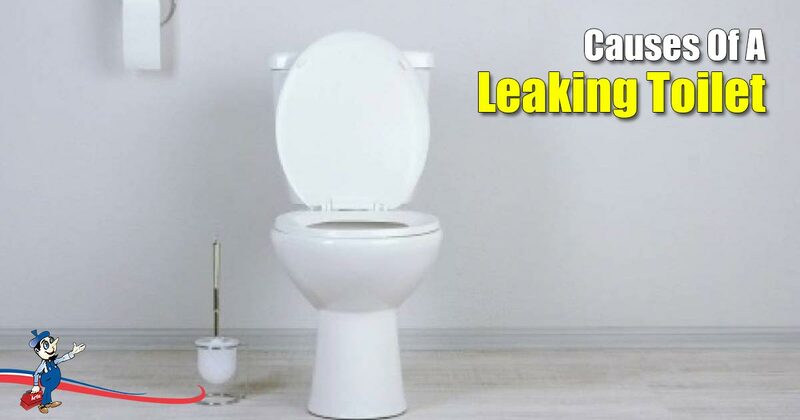 If you are experiencing a leaking toilet and you’re’ not sure what to do about it, rather call a professional plumber. One mistake could potentially make the problem worse which could result in not only a high water bill, but also costly repairs. Regarding preventative measures, steer clear of strong chemicals and blue blocks for your tank. Overall, make sure your do regular maintenance checks by calling a licensed plumber from Art Plumbing, AC & Electric.